If you’ve been around here since my trip to visit my daughter in Germany last spring, you may remember notes on the Bremen bridge cosy. El Guapo recently came across a photo of another yarn bombing, this time on a much larger scale. These are the steps of the Helsinki cathedral in Finland. 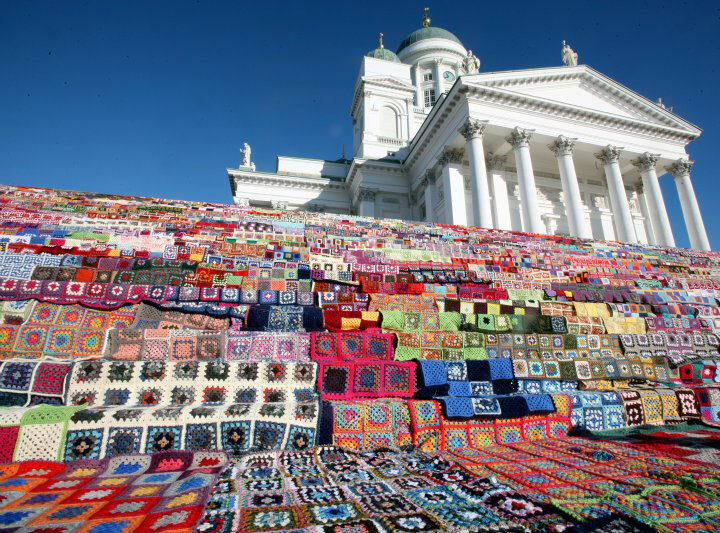 Doing a little research, I learned that this spectacle began with three Finnish organizations and a goal in 2011 to collect 1000 crocheted blankets. In the end, there were nearly 8000 blankets made, so many that there wasn’t room on the cathedral steps to lay them all out. Being practical to a fault, I admit I was happy to learn that the blankets were later donated to people who needed warming. El Guapo also sent a link to a photo of a double decker bus entirely covered in knitting, but it was done for a soft-drink ad campaign, so while I admired the needlework, it didn’t warm me in quite the same way–I think I may be allergic to marketing. The cathedral looks pretty impressive, as well. I like the juxtaposition of the imposing columns and dome acting as backdrop for the millions of humble granny squares. If you want to learn more about the project, this might be a place to begin. Speaking of beginning, those acres of skillfully tangled yarn seem to have something to say to me that sounds like, “don’t you want to get a project started?” Mostly I’ve just been fiddling around lately, but I think it’s time to settle down to something. 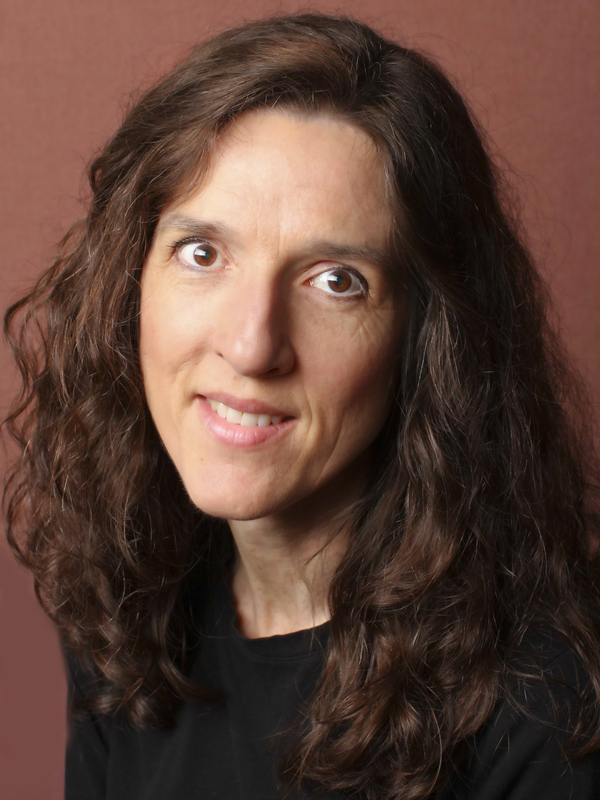 There’s a whole philosophical discussion to be had on decision paralysis, and the way that choosing one direction cuts off others, but I somehow feel that I want to get my hands off the keyboard and into some yarn…. 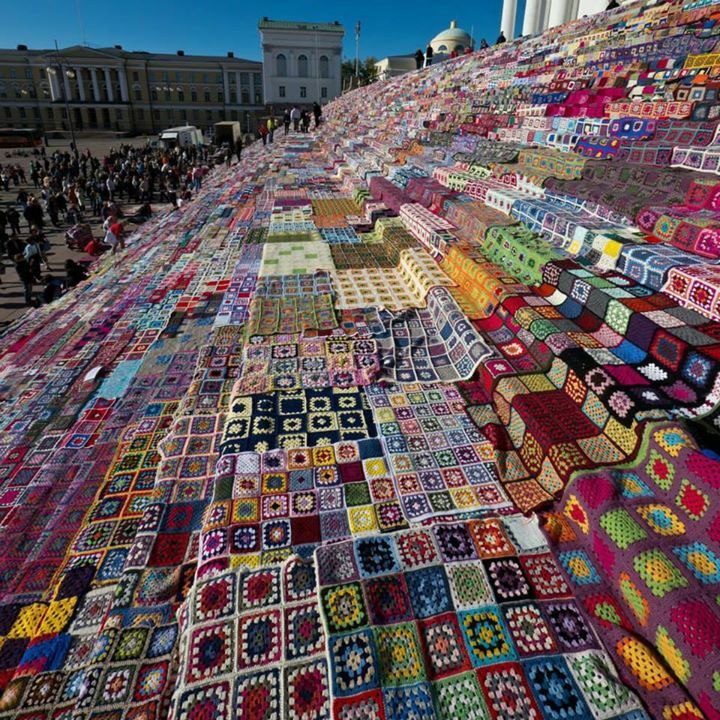 This entry was posted in Uncategorized and tagged art, crochet, decisions, Helsinki, yarn bombing. Bookmark the permalink. How lovely. Warming in every way! And we need some of that right about now, don’t we? It’s hard to “warm” to any sentence that features the term “wind chill factor,” something our area is hearing too often these days. Whatever project you choose & go with, will be well done, knowing your talents, Dear Friend. Your confidence is touching–I hope to deserve it! I agree with the “allergic to marketing” comment. Those donated blankets make me much happier than a bus version would! Me, too. There’s something so “of the people” about yarn bombing–it’s grassroots–that having a company try to harness it to sell more soda just seems Ugh.